We track every Playstation 2 video game purchase on eBay to bring you the most accurate video game prices around. Army Men: Air Attack 2 PLAYSTATION 2 PS2 little green men toys helicopter game! Army Men: Air Attack 2 (Sony PlayStation 2, 2001) PS2 w Case & Manual Very Nice! 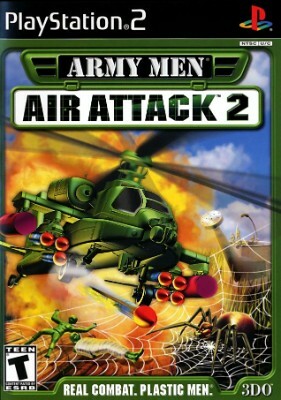 Army Men: Air Attack 2 - Playstation 2 PS2 Game Ships Free! !